Just picked this chart to show case the power of candlestick breakout patterns. 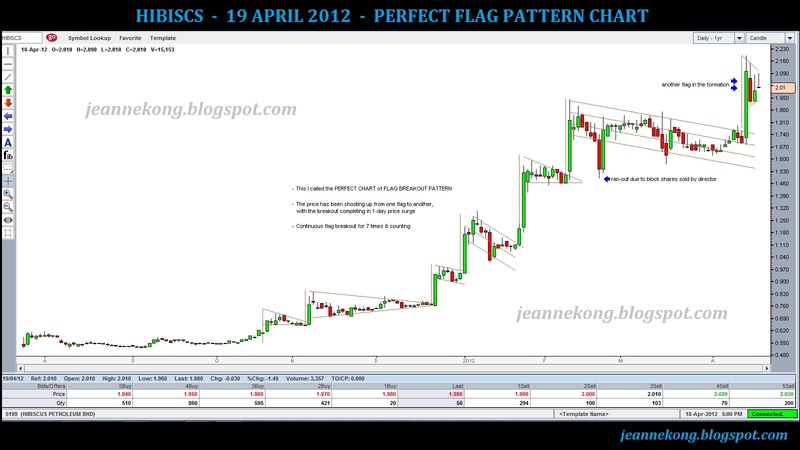 Taking a closer look at HIBISCS will see that the share price run-up from Oct'11 until the recent high of 2.19 (April 13) has been in a streak of flag breakouts!! And the best part of it will be that we are looking into another flag in formation right there after the recent price spike to a peak of 2.19. Based on the historical data, the flag formation can take 1-2weeks, latest within 3weeks, to form. We shall wait there & take the advantage of the 1-day breakout spike to profit handsomely.